Individual departments will determine how many credit hours may be applied toward the major requirements. 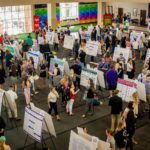 Undergraduate research and creative works is an inquiry, investigation, or creation produced by an undergraduate student that makes an original contribution to the discipline and reaches beyond the traditional curriculum. 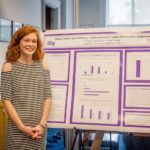 Undergraduate research and creative works is designed to provide students with the opportunity to develop and practice advanced discipline-specific projects in collaboration with faculty members. A student electing to enroll in an Undergraduate Research and Creative Works course must contract with a faculty member to work on an existing research project or to develop a new project, and a specific list of responsibilities must be developed prior to approval. Credit is variable, and depends on the quantity and depth of work. develop the ability to explain the conceptual viability of the project and describe the major components involved. develop the ability to explain how the project will impact the relevant body of work. develop an understanding of and an ability to explain the ethical and/or legal implications of the project. learn to understand and critically evaluate theories, practices, and/or research on a chosen topic by conducting a thorough literature review and submitting a written integrative, critical summary of the current literature. the ability to perform searches for relevant information. a comprehensive understanding of knowledge of standards and use of materials (taking into account the social and professional contexts of the discipline). develop a working familiarity with discipline-relevant technology and other discipline-based tools of the trade. the completion of a research or creative project proposal. the completion of a final URCW research report. presentation, performance, or display of the URCW project for public review. The student is required to meet with the instructor a minimum of 1/2 hour per week per registered credit hour throughout the semester. Students will be assigned a letter grade for URCW courses based on departmental guidelines.